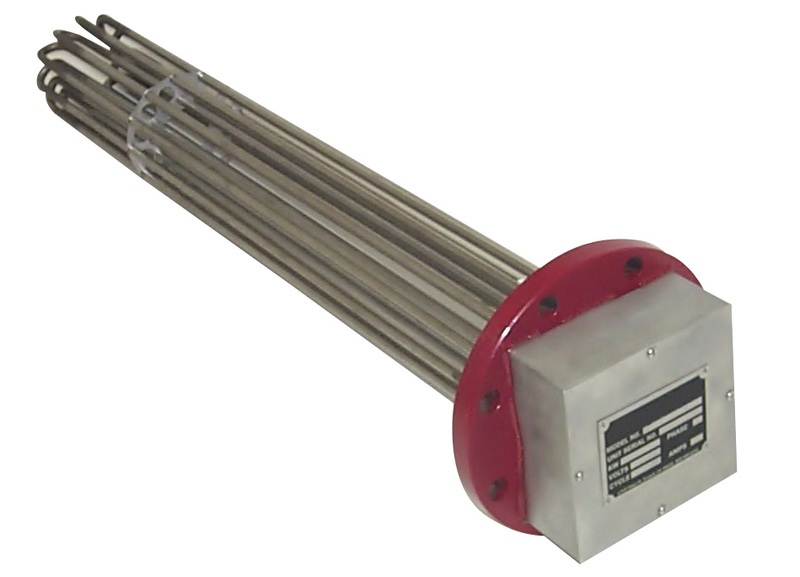 Flanged Immersion Heaters, both round flange and square flange models are available for applications requiring larger wattages. 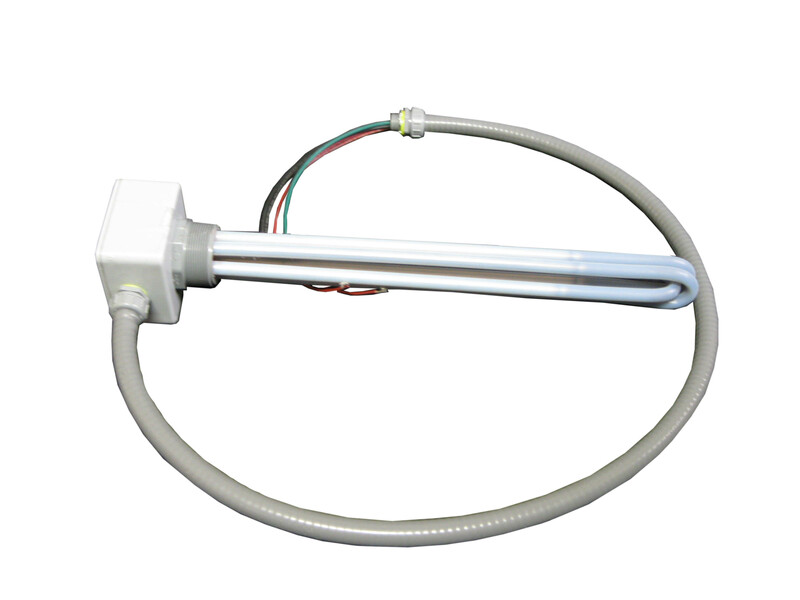 Flanged heaters are made from tubular heaters or Mighty blade elements brazed or welded into a pipe flange. 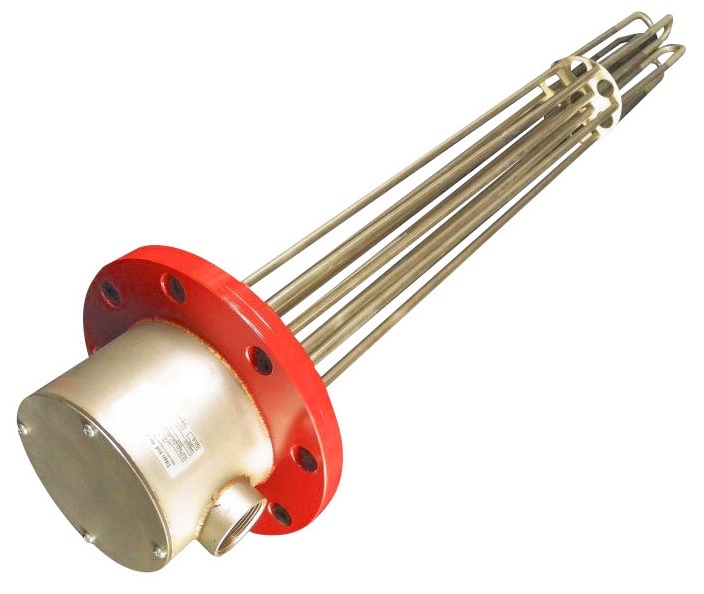 They are used in large capacity vessels, high pressure applications and are installed by bolting the unit to a matching flange welded to the vessel wall. The flanges are made out of carbon steel or stainless steel. They are rated for 150lbs, 300 lbs or 600 lbs. sheath material: copper, steel, stainless steel, Incoloy, Teflon (PTFE) coating available. electrical junction / terminal box can be NEMA or IP rated, moisture resistant or explosion proof.